Your garage door is the largest moving object in your property. To safely raise and lower your door, you don't want to take any chances by hiring just anyone. Hire a name you can trust. Since 2014, Patriots Overhead LLC has been providing outstanding garage door installation service. Whether you're looking to install a garage door on a new construction, a remodel, or simply spruce up your property, Patriots Overhead LLC is the company you can trust. When you come to us for your garage door installation work, you can expect only the highest quality work and #1 customer service. 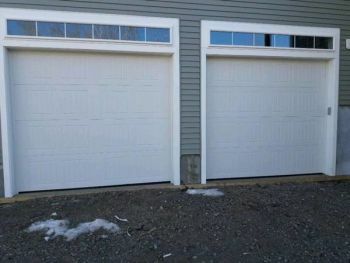 Garage doors both accentuate your style and protect your property. Patriots Overhead LLC is sure to provide you with an outstanding garage door installation experience. Call for a free quote today!